The Artix GT Chronograph is a new member in the family of Oris sports watches. Building on Oris’ Motor Sports heritage, the watch combines timeless contemporary design with sporty elegance. The watch is powered by ETA Cal. 7750 automatic mechanical movement, with chronograph function and date. The two-piece dial, with a matt black dial ring and a Tachymeter scale, is directly assembled in the case with both minute and hour counters, along with applied indexes. An interesting addition is the Oris developed retrograde mechanism, which allows the small seconds to ‘grow’ like the RPM counter in a racing car. The striking multi-piece stainless steel case adds enduring refinement, which catches the eye. Building on the sports theme, the bezel with black ceramic minute scale rotates in both directions and features a rubber coating for “good grip” and precision. 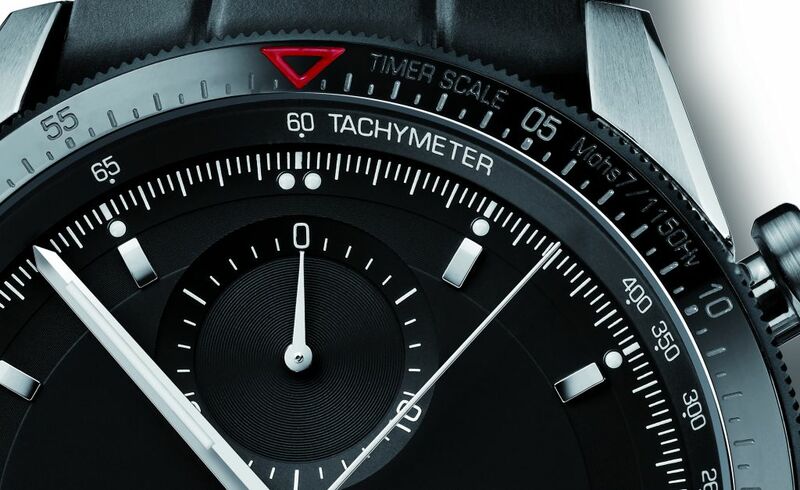 The unique chronograph design is underlined with seconds and hours at 12 and 6 o’clock and the special, smaller seconds display at 9 o’clock. A stunning example of Oris’ passion for watch design, the polished nickel hands are finished with Superluminova inlay, which stands out against the dark backdrop of the watch. Water-resistant to 100m, the Oris Artix GT Chronograph is finished with a rubber strap and folding clasp, a fine balance between sport and elegance – a versatile timepiece for business or leisure. •Bezel with black ceramic minute scale, rotating in both directions, with rubber coated “good grip” profile on the outside. •Two-piece dial; matt black dial ring with Tachymeter scale directly assembled to the case, minute and hour counters and applied indexes.